Dr. Lee graduated from the University of California, Berkeley, with a Bachelors of Science degree in Chemistry before pursuing his dentistry. Shortly after graduating from USC, he opened this dental office in 1990 and has been taking care of patients in the Oakland Chinatown community ever since. A sports enthusiast, and perpetual Oakland Raiders and Beatles fan, Dr. Lee regularly works out at the Downtown Oakland YMCA. He coaches Crystal in Karate and has been on the medical staff of the USA National Karate Federation sponsored tournaments since 2005. He donated custom mouth guards to the 2009 Northern California Jr. and Sr. Team USA Karate athletes. His interests include paintball, racquetball, karate, martial arts, reading, sports medicine and injuries, sports nutrition, and building/ troubleshooting computer hardware and software when he is not playing computer games. He is very close to his mom and family. Stephen, born in Hong Kong, came to the US when he was 8, where he grew up in Oakland. He graduated from St. Elizabeth High School, and then from UC Berkeley, where he got his B.S. in Chemistry. He then attended the University of Southern California, School of Dentistry, where he obtained his Doctor of Dental Surgery in 1989. In 1990, he established his own private practice right here in Oakland. He also worked for the Berkeley Free Dental Clinic doing emergency dental treatment and extractions until 1994. He does his best to clean his patients, but will gladly refer patients to other doctors if they need specialized work. He has been a board member of the Far East Commercial Plaza Homeowner's Association since 2004, and is very involved in karate tournaments around the country. He has been the treasurer of the US Wadokai Karatedo Federation since 2005, the chairman of the Ajari Cup Karate Tournament since 2005, and on the medical committee of the USA-National Karate Federation since 2003. He also attends all major karate tournaments in the nation. 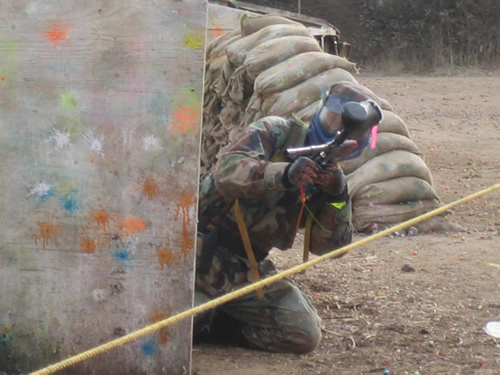 Stephen likes to play PAINTBALL in his spare time, and will happily take his patients paintballing with him. He likes to collect guns and recruit paintball players to play with. He also enjoys reading science fiction, action, and fantasy novels, home improvement, and gardening. Stephen married Diana in 1991, and is the father of two beautiful children. 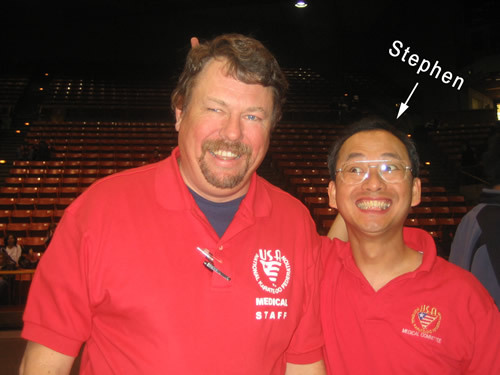 Dr. Fong, also known as Mrs. Stephen Lee, was born and raised in Las Vegas. She has had personal experience with nearly all dental specialties, including pediatric, periodontic, general, and orthodontics. After graduating from USC School of Dentistry, she married and joined the practice in 1991. In 1996, an opportunity to learn a "kinder and gentler" form of non-extraction orthodontic treatment with the American Academy of Gnathologic Orthopedics became an invaluable gift to her 2 daughters who grew up with no cavities or crooked teeth. In 2007, she began her Biobloc Orthotropic mini-residency , a truly revolutionary, 21st Century concept of Facial Growth Guidance founded by Dr. John Mew of England in the 1950's. Proper nutrition, daily exercise, and a positive attitude are the keys to a healthy mind and body. She is a member of the Chinese Community United Methodist Church, Parent Association at St. Joseph Elementary and St. Joseph Notre Dame High School. Plans are in the works for personalized, Nutritional Counseling for the control and prevention of disease for a nominal fee. Diana is also a graduate of the University of Southern California, School of Dentistry. She joined Stephen's practice in 1991. Diana enjoys cooking, reading mystery novels, and classical works from Shakespeare and Steinbeck, listening to classical piano music, and gardening, just to name a few. Diana published a case study in December 2007 for the American Academy of Gnathological Orthopedics entitled Comprehensive Nonextraction Treatment for An Adult. Skeletal Class I, Severe Right Side Anterior Crossbite. Diana published a case study in March 2016 for the Journal of Gnathologic Orthopedics and Facial Orthotropics entitled Treatment of an Anterior Crossbite with Moderate Crowding March 2016 Case Report. Cynthia joined our team in 1995. She is the mother of three lovely daughters. Her looks are impeccable and her sense of humor livens up our patient's days with laughter. She can put a smile on anyone's face with her calm personality. 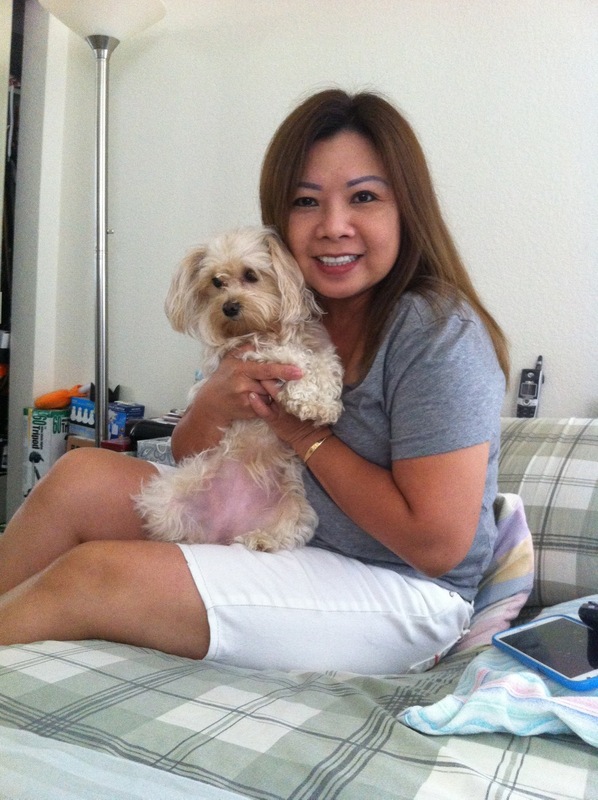 Cynthia is fluent in Vietnamese, Cantonese, Mandarin, and English. She is our lead receptionist, dental assistant, treatment plan coordinator, and business administration assistant. Gina has been a member of our team since 1997. She is our business manager and handles the finances of our practice. She loves to travel, shop, and use her iPad. She enjoys shopping for designer clothing and accessories, fine dining, and home cooking. Fluent in Mandarin, Cantonese, and English, Gina travels the world and does not get jet lag. 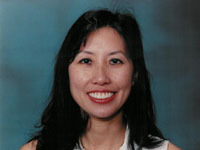 To learn more about Gina, visit the case report section under Dr. Fong's biography page. Helen first worked here part-time for 3 years as a registered dental assistant with over 15 years experience assisting in orthodontic and general practice. Helen's attention to detail, friendly chair-side personality, and gentle touch are qualities that help our patients relax. She went to Fresno to attend hygiene school. She is familiar with advanced non-surgical techniques in treating and controlling gum disease and well as the latest in oral hygiene for homecare. She is available for a private 30 minute oral hygiene assessment and personalized instruction tailored to your needs by appointment for a nominal fee. Helen enjoys shopping, music, and spending time with her family and nephew. She is fluent in Cantonese Chinese, Vietnamese, English, and limited Spanish. Vivian is a full time student at San Jose State University. She has worked full time for us in the summers and on Fridays and Saturdays during the school year ofr the past 5 years. Vivian is interested in the Health Care Field and working directly with people. She joined our team when she was a junior at Alameda High School and brings to our practice the energy and enthusiasm of her generation. 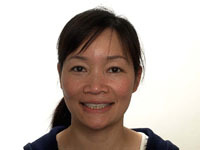 VIvian is fluent in English and Cantonese and uses these skills to help people. Vivian is our Continuing Care Patient Coordinator and Lead Data Entry Person. She verifies dental insurance plans, schedules appointments for our patients, and assists our business manager with accounts receivables. She also helps the doctors and dental assistants in the back office. In her spare time, Vivian likes to travel and spend quality time with her friends and family. Jen joined our team as our full time dental assistant in Fall 2014. She grew up in Southern China and is fluent in Toi-san, Cantonese, Mandarin, and English. Her enthusiasm, outgoing personality and friendliness make all of our patients feel right at home. Jen graduated from the College of Alameda Dental Assisting Program and holds a Certificate for taking Xrays and Coronal Polishing. When Jen is not working, she is a busy homemaker, wife, and mother to her son in elementary school . VTrang works part-time on Saturdays as a chairside dental assistant. She is a great source of information and is wearing braces for the second time. She has 2 teenage children which keep her busy. Trang is an expert at making temporaries and she enjoys helping patients improve their dental health and education. Jeffrey goes to UC Berkeley and is majoring in computer science. He created this site.